There are currently 0 Hot Deals & 0 Exchange Weeks available for this property. 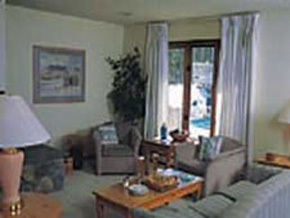 The resort features spacious two- and three-bedroom townhouses located in downtown Winter Park. Amenities include a heated outdoor pool, hot tubs, and saunas. World-class downhill skiing, cross-country skiing, dog sledding, sleigh rides, snowshoeing, and more are available only two miles away. During the summer, guests can enjoy rafting, fishing, and hiking in and around Gold Medal Waters. 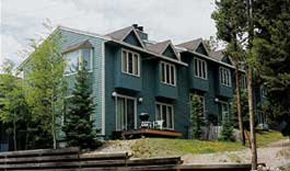 The resort is 30 miles from Rocky Mountain National Park and an hour's drive from gambling in the historic mining towns of Blackhawk and Central City. Shopping and fine dining are available within walking distance. Guests check-in at High Country Haus located at 78415 US Hwy 40 across from King's Crossing. Exit 232 from I-70 on US40. Guest Service Desk Location: Exit 232 from I-70 on US 40. 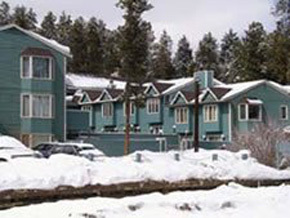 The office is located at High Country Haus, 78415 US Highway 40 across from King’s Crossing. Phone (970-726-9421, Fax (970-726-8004).